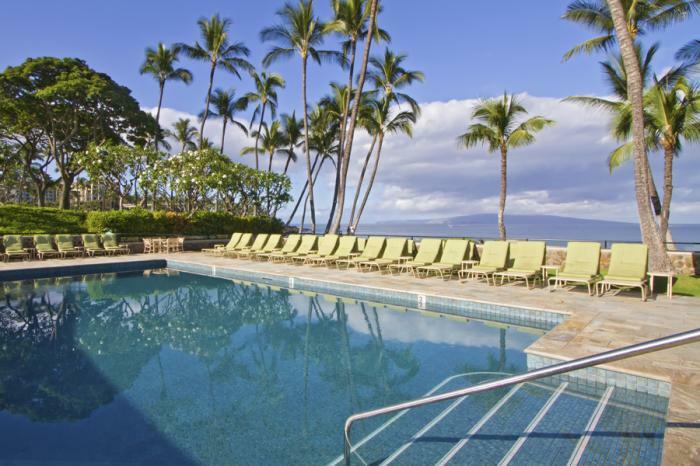 Wailea Elua Village A beautifully landscaped beachfront property situated in the heart of Wailea. Maui's Wailea Elua is an exclusive resort featuring inviting vacation condos all ready for you to enjoy your time of rest and relaxation. With the manned guard gate entrance your privacy is assured, and the serenity of the property is maintained at all times. Soak up the sun or take a splash into the warm ocean blue for fantastic snorkeling adventure. Watch dramatic sunsets, exciting humpback whales breach during peak season (Dec-April) and enjoy the whispering palm trees with stunning views. Wailea Elua Village is conveniently located in south Maui making this a wonderful launching pad for all of your Maui activities. You are within walking distance to the large resorts in Wailea to explore and the Shops at Wailea for meals and shopping. Stay in an exclusive beachfront property where you have privacy for you and your family or friends to enjoy the beautiful setting.